Number Plate Decoration station for Family Route Riders available at the Buddy Pegs in the Kids Zone during open expo hours. 8:00 am The Kodiak Cakes Family Route and Pancake Bar. A fun 8.8 mile ride for families, youth, and beginners. 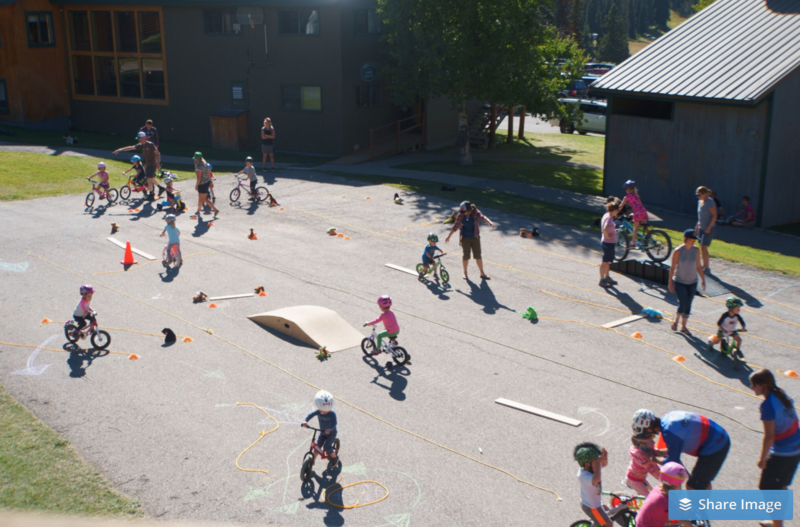 Free Pancakes await at the Kodiak Cakes Pancake Bar for registered family route riders. Available for a small fee and while supplies last for non registered folks. Pancakes served from 9:30 am to 10:30 am at the finish line! Infectiously fun, small-scale, bicycle-based experiences for families with children age 2-5 years old. - The Bicycle Playground will be open to the public for Free from 11:30 am to 5p m Saturday. FREE - Science, Technology, Engineering, and Math (STEM) activities TinkerTech. 9:00 am FAMILY WALK & ROLL. Line up on 4th street and take a few laps by foot or by bike as we parade around Old Courthouse Square to burn some calories and have some fun. Sign up here. - The Playdate zone will be open to the public for Free from 11:30 am to 5 pm Saturday. FREE - Science, Technology, Engineering, and Math (STEM) activities by TinkerTech. Copyright © 2018 Bike Monkey Inc. All rights reserved. Unauthorized use of content from this site is strictly forbidden, and punishable to the maximum extent of the law. Website designed and produced in-house by Bike Monkey Inc.